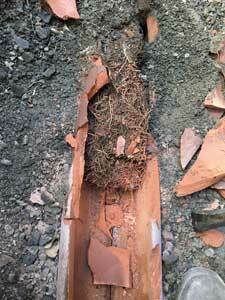 As tree roots grow and spread underground, they can sometimes get inside drainage systems and cause blockages. At Lateral Plumbing Solutions, we’re fully capable of providing root cutting in Melbourne for tree roots that have gotten inside cracked or deteriorating pipes. Our specialists have access to the latest equipment and machines, including closed circuit television (CCTV) to efficiently remove roots from your pipes and enable easy cutting of roots from sewer lines. 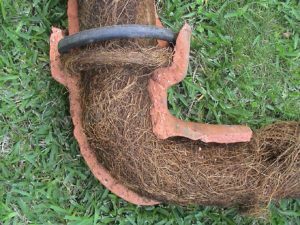 Causing minimal disruptions, we can also repair your pipes and restore their structural integrity to reduce the likelihood of tree roots getting inside again. The team at Lateral Plumbing Solutions are trained and qualified for confined space entry. This means that we can access underground pipes and get beneath buildings for the purpose of cutting tree roots that have penetrated through, using effective tree root cutting blades. We also possess all the necessary safety equipment to carry out remedial tasks for drains and sewers, including full breathing apparatus. In addition, we’re fully aware of the dangers involved and can take relevant actions based on the specific situation. Another aspect of what we do here at Lateral Plumbing Solutions is live sewer cut ins. When a building is demolished, we can ensure the sewer point is capped below the ground at the main. If you’re looking for a team of experts who know how to cut roots out of a sewer line, Lateral Plumbing Solutions can provide the assistance you need. Contact us today to book our root cutting services in Melbourne.